The Campbells show off their Sunday best and their family glow for the ‘gram. They say a family that prays together stays together, and the Campbells are the epitome of a first family. 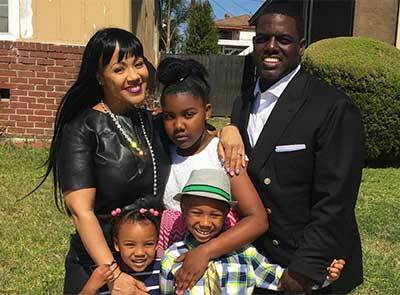 Erica recently added First Lady to her many titles sinceher husband, Warryn Campbell, became the pastor of California Worship Center. Over the weekend, the happy couple showed off their Sunday best. Since taking on her new role as First Lady of their cnurch, the Grammy award winner has been spending more time supporting her husband’s latest endeavor as he builds his congregation. She even invited her celebrity friends, like the Tamar Braxton and her husband, Vince Herbert, to visit their church amidst Braxton’s recent career troubles. @tamarbraxton thanks for coming to @caliworship today!! We had good ol church today!! The couple enjoyed a family snapshot before heading to church, once again giving us the quintessential #churchflow picture. What can’t the Campbells do?! The multifaceted couple celebrated their 15-year wedding anniversary last week.